3x01 The Birthday. . HD Wallpaper and background images in the The Vampire Diaries TV Show club tagged: the vampire diaries season 3 the birthday. 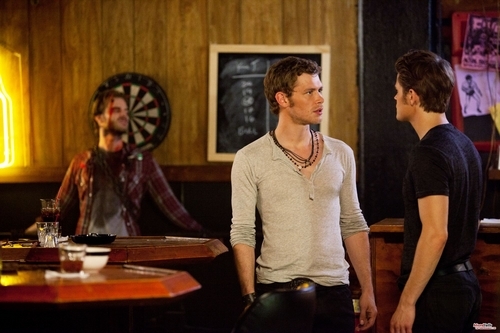 This The Vampire Diaries TV Show photo contains brasserie, bistro, and dinner table. There might also be restaurant, eating house, eating place, eatery, boardroom, and council chamber.